"I've got a job in the valley but today I didn't go", somewhere in the last few words a honky-tonk piano joins a voice that sounds like cars burned rubber in there for years on end. Rough, tired, edged and full dirt thrown in there on a daily basis. The guitar that comes in sounds just as sleazy with a load of reverb and sustain to draw out the notes played. Albums can start a whole lot worse that Hellfire does. 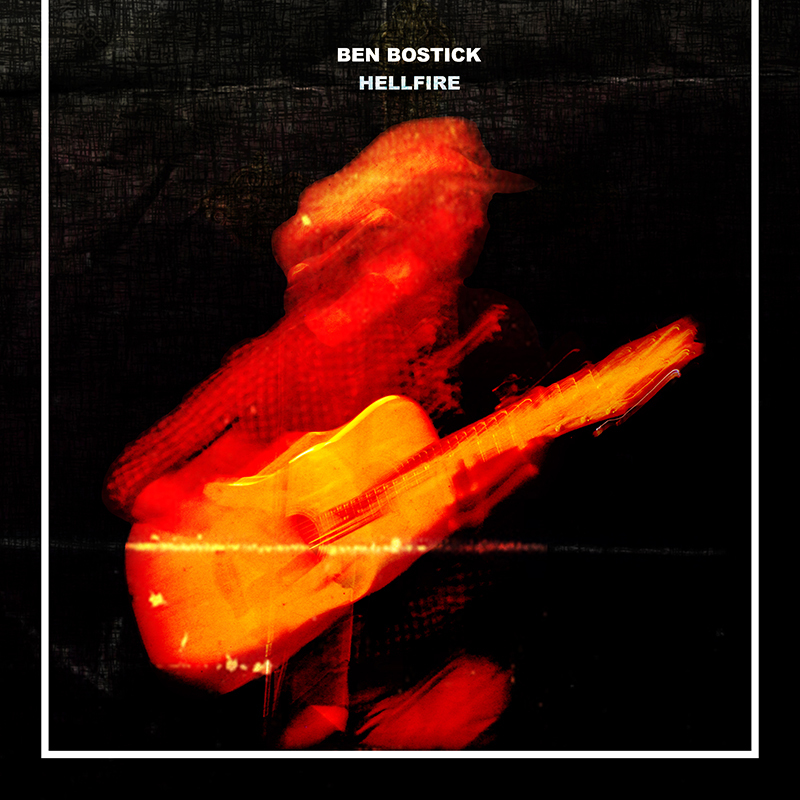 Ben Bostick makes a statement in the very starting moments of his new album. Life isn't good, so he's "gonna clean out his account ... to drink a disgusting amount". 'No Show Blues' is a great rocking song, like they are supposed to be made in the U.S. of A. A great solo is thrown in there to, leading up to a momentous crescendo before the song returns to the main theme. And all that in a little more than 3.30 minutes. 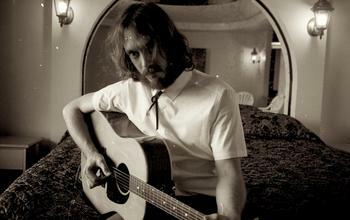 Ben Bostick is a country singer from Los Angeles, releasing his second album. What struck me the most, listening to the album for the first time, was how alive Hellfire sounds. There seems to be no holding back, no recording tricks. The music and voice come across as one big, if not huge ball of energy thrown at the unsuspecting listener to digest. The sound is so tremendously solid. Reading up a little on the album the reason was explained. Ben Bostick, vocals, rhythm guitar; Luke Miller keyboards; Kyle LaLone, lead guitar; Cory Tramontelli, bass and Perry Morris, drums all played together in a circle while listening to the vocals through floor monitors. Producer John Would used the sound created not just by the instruments/gear but the whole room as such. The result is this tremendous solid sound, enormous and successfully (a)live. Bostick may be dubbed a country singer, his music certainly can be found in the rocking segment of country, moving towards blues rock in sound and intend. Yes, there are rough sounding country songs as well, but never without a solid electric guitar. LaLone and Miller alternate solo's, giving songs their own distinctive feel. LaLone has several fine country licks (and rock (and roll) ones) in this repertoire, while Miller rolls his piano notes around. 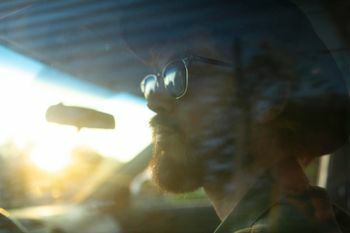 A song like 'Tornado' is LaLone tinged with the twirling guitar notes. It may not be my favourite song on Hellfire, 'Tornado' is more than alive though and will work a miracle in a live setting. In 'The Other Side Of Wrong' they both go at it, creating a wild, all sweeping rock song. This band was on a roll in Would's studio. Hellfire is an album when a person needs a lift up and for those evenings when one just wants to sing a long to dirty country-rockers, tight fist up in the air. Only one thing may be better, to hear Ben Bostick and his band play these songs live. It looks like Mr. Bostick has succeeded in achieving his goals when making Hellfire.